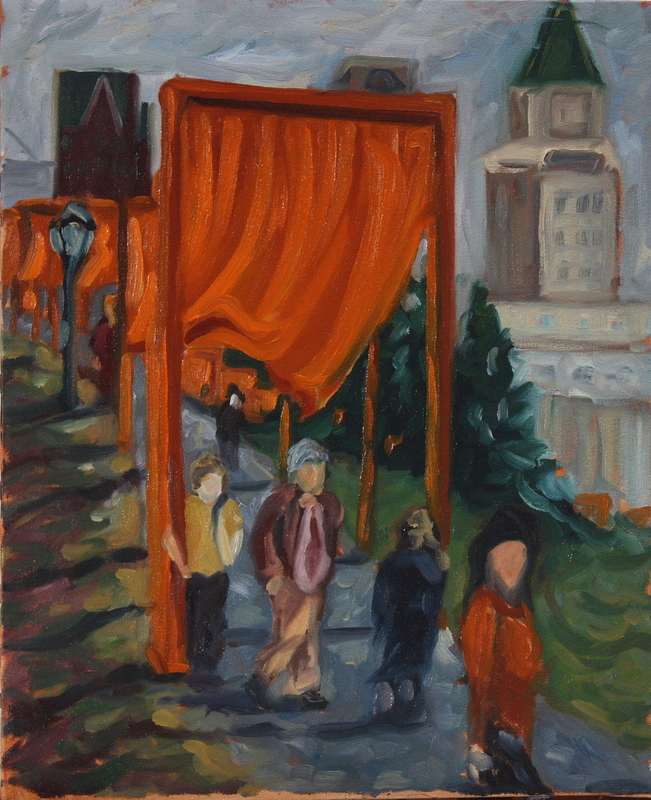 One of three paintings I completed en plein aire during Chrito's Gates exhibit. N.Y. is one of my favorite and most exhasting places to paint. People in Most other cities tend to give you some space, even asking if they can look at your painting, I think its some apprehension about disturbing "An Artist at Work." New Yorkers have no such fear, and you know through out the process exactly what they think. It's what makes it what it is.